WPI has a strong commitment to a comprehensive, global education, educating biochemists, biologists, statisticians, environmentalists, musicians, and mathematicians for a range of important roles in society. Arts & Sciences oversees diverse departments and programs and encompasses disciplines that prepare our students for today’s global economy and technologically advanced society. WPI students are a creative group, and our active theatre program confirms their dedication. 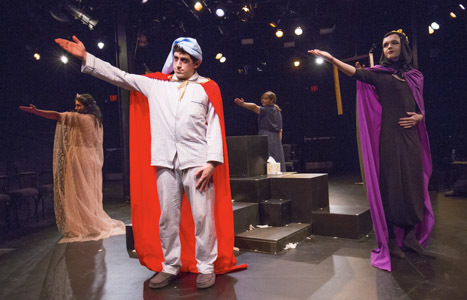 Within Little Theatre is New Voices, the nation's longest continuously running collegiate play festival, and Masque, WPI's student-run theatre group where students can do anything from writing, to acting, to set production and design. Our students take to the stage for creative expression, technical proficiency, and sheer enjoyment and camaraderie. You can appreciate the diverse offerings as an audience member, too. WPI is known for its world-class technical education, but we also believe the best professionals are well-rounded world citizens. 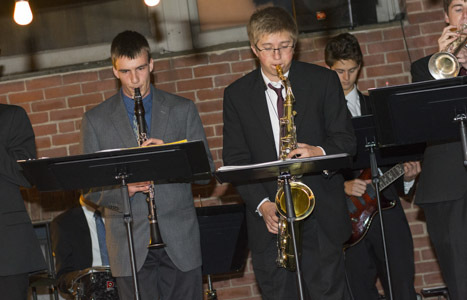 Our students have many choices to fulfill their musical passions at WPI. They can choose a concentration or minor in music, but they can also join one of our numerous award-winning ensembles that perform on campus and abroad. If you'd rather listen than play, you can attend one of many concerts held throughout the year in our Center for the Performing Arts in Alden Memorial. With a growing demand for insight into how we can change the course of disease and improve life for people, WPI's Biology & Biotechnology program offers you the chance to gain extensive knowledge and practical, applicable experience. 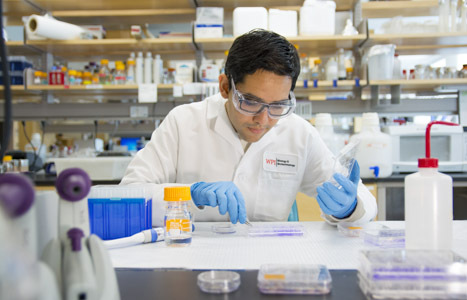 Faculty and students work together on cutting-edge research and use the state-of-the-art equipment in our 124,600-square-foot Life Sciences and Bioengineering Center to research subjects including cancer biology, immunotherapies, and intricate biological systems. WPI students are constantly asked to consider how technology and science impact the human world we live in. 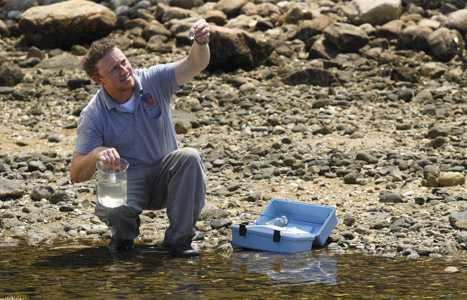 Students in the Environmental Studies & Sustainability program find answers by being out in the world, assessing needs, developing technical solutions, and forming relationships to understand how it all comes together. The technological and social policy training we give prepares students to solve the complex environmental problems of today, particularly human-induced changes to the environment. What do robots have to do with Arts & Sciences? 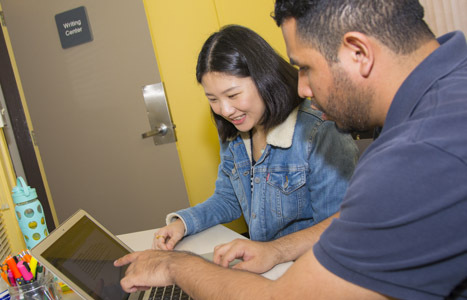 Computer Science is a critical component of the university's interdisciplinary robotics program. Our pioneering Robotics Engineering Program involves students and faculty interested in everything from music or biology to computers and engineering. This collaboration means students develop software for robots to play music or build robots to help with delicate surgery. The possibilities are endless, and the teamwork helps you imagine, build, and design robots that will make major contributions in many industries. Our increasingly global relationships, whether personal or professional, are creating a smaller world with many opportunities for connection and collaboration. As we develop connections that cross geographic boundaries, cultures, and economies, proficiency in a foreign language becomes vital. Studying a new language--whether that's German or Spanish--at WPI helps broaden relationships with people and communities and improves your job opportunities. Your well-rounded language skills reveal new possibilities for your life and your career.